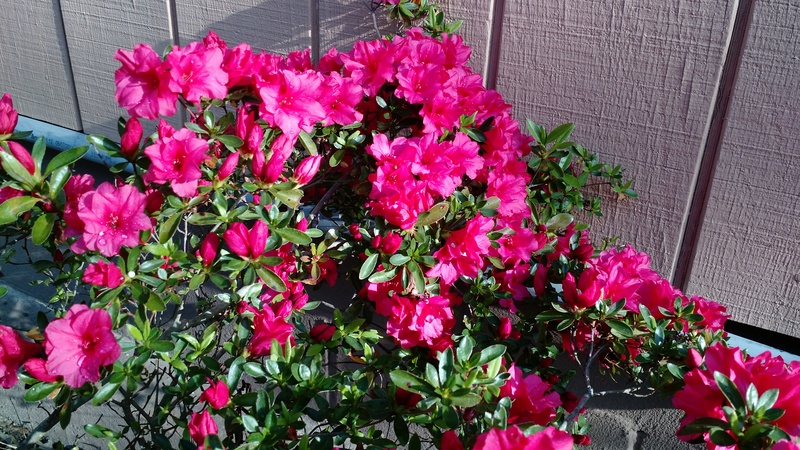 This week, the early azaleas got serious. Our earliest are the Red Ruffles. 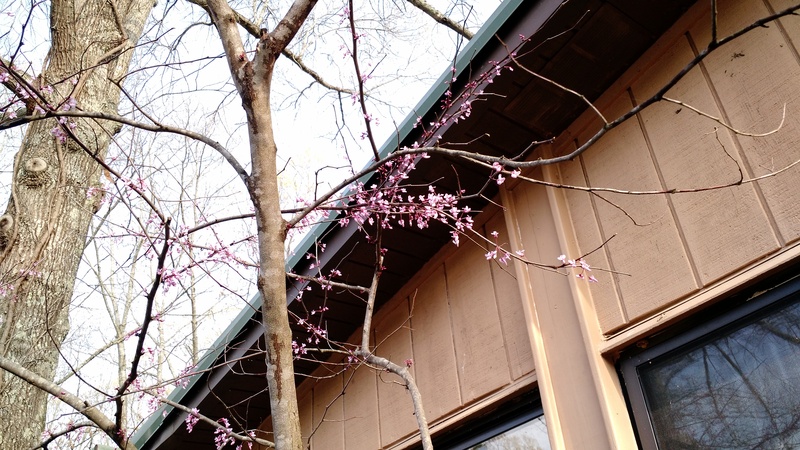 The redbuds survived the storms over the last week, which had brought a premature end to many blooming fruit trees such as the braadford pears. 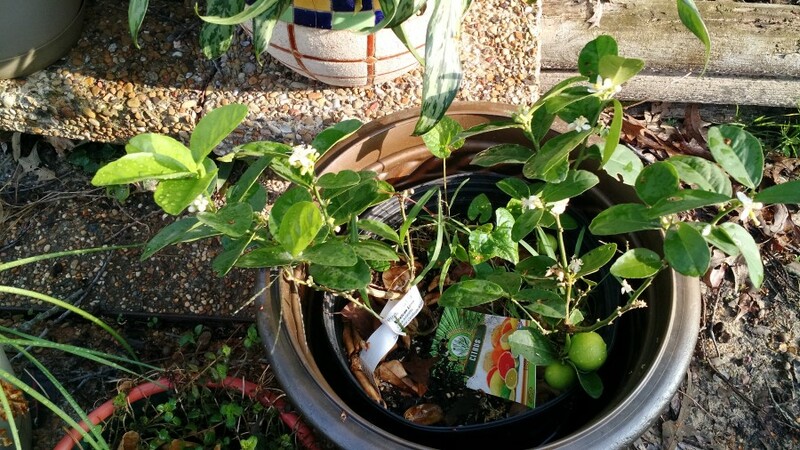 The citrus have been moved outside, where we discovered the little lime tree has been working its little heart out over the winter.